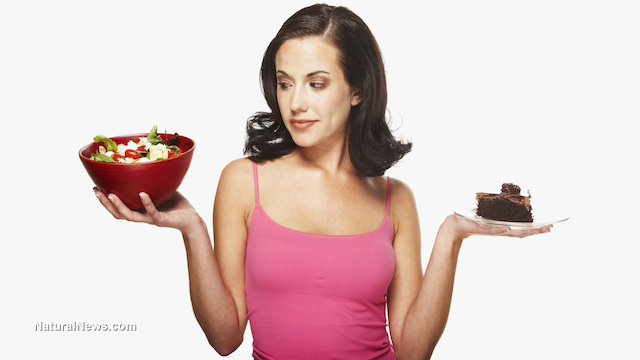 Nutrition impacts your willpower - so what will YOU do about it? (NaturalNews) Some people smoke, some eat junk food, and some are on medications with horrific side effects, and other people are straight-edged, meaning that they don't drink, smoke or eat fast and processed food -- they wouldn't dare. Some people eat superfoods and take herbal formulas and tinctures for immunity and disease prevention, and they seem to have lots of energy, vitality and, well, good eyes. Eyes say a whole lot about a person's health. These healthy folks seem to be able to handle their own problems very well, whether big or small, frequent or infrequent. You see them at gyms and in yoga classes, and you see them in health food stores. They seem to know what they want, too. That's willpower -- that's knowing what fuels the machine, the motor, the human body. People who have their "act together" have many routines and even "rituals" -- so to speak. They have carved them out over time. Again, that's willpower. That's knowing deep down that persistence and consistency greatly rely on extended effort, practice, routine and perfection. Any human who desires to accomplish this, whether once or every single day, must have a high regard for nutrition, where to find it and where to find it consistently. If you take prescription, chemical-lab-made drugs regularly, you probably have acidic blood regularly, with a pH below 7.35, maybe even as low as in the 5s. This invites cancer to develop and immunity to stay low. Hundreds of millions of people, especially in the United States, suffer from mineral deficiency and/or metabolic disorder. This means that their bodies don't make energy properly from the food they eat, whether proteins, carbs or fats. Some of them can't even store the energy in their body tissues, because their liver has been "incapacitated" by chemicals that the body did not make, like pesticides, GMOs and petro-food-chemicals. Heavy metal toxins are found at alarmingly high levels in most of the "staple diet" of Americans. These foods are either very low in minerals, or in most cases, completely devoid of them. The lack of proper minerals leads to 900 different diseases and disorders. This is where the tires hit the road. Understanding mineral deficiency and how to replenish your system is key to having energy, drive, momentum, persistence and basically good health. It's time to "store" some energy with organic minerals. During the beginning part of 2014, the "Lifewellness Team" -- a group of clinicians from a variety of backgrounds, released their new research revealing how nutrition impacts willpower and, via the brain, can make all the difference with neurochemicals. The team is comprised of professionals in nutrition, sports medicine and family practice. Here's a quote from the researchers: "Research has shown that tedious tasks require the use of willpower and like a muscle, willpower can be used to the point of fatigue. At the end of the day, that can leave us drained of willpower and at the mercy of ANY tempting goodie that crosses our path, which undermines even the most sincere goal of eating healthfully." Organic foods, spring water and organic mineral supplements provide your body with the proper fuel that maintains http://knowmental.com for balancing moods, maintaining focus and maximizing concentration. Your most valuable resource is willpower, but most people rarely get to see it in action regularly, because they are eating GMOs, drinking fluoridated tap water and consuming refined sugars and saturated trans fats. For example, serotonin, which is produced in the central nervous system, is associated with anger regulation, mood, body temperature, SLEEP, appetite and even pain modulation. When you eat processed, dead food, you are lowering your pain threshold, thus losing desire. How will you run your life's "marathon"? Be sure that your breakfast, even if it's small, is the ultimate fuel, full of vitamins, minerals and enzymes. Turn on all your enzymes! Making smoothies with fresh organic fruit or juicing organic vegetables is key. Have you researched your organic mineral supplements? No? It's time! Stay balanced and stay focused. You deserve it.